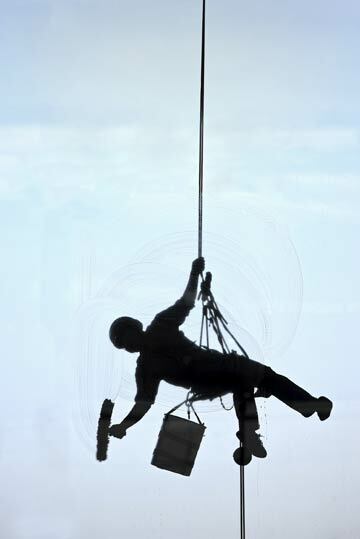 Dave the Window Washer is a window washing & cleaning company based in Los Angeles, California. First off, Dave is an individual (and proud of it), but Dave the Window Washer is also a highly motivated company based in Los Angeles, California. It’s hard to invite strangers into your home and Dave knows it. From the moment he and his staff walk through your front door, he listens to you. You’re the boss. If you have special needs, express them to Dave and he’ll accomodate with a smile! So your house is full of fine art, your marble floors have just been refinished, the walls have been painted white and the housekeeper came yesterday. Not to worry because Dave goes to extreme measures to cover, protect and respect all the items that you’ve worked so hard to collect…guaranteed! A job done, should be a job well done. When Dave is finished, feel free to inspect his work and ask any and all questions. You don’t pay until Dave has completed the job to your satisfaction. If he can’t make you happy, you don’t pay! Dave started cleaning store front windows in the summer of 1985. Since then, his business has grown from five store fronts to over 1000 clients, residential as well as commercial. Ninety percent of this growth can be credited to word-of-mouth recommendations from other satisfied customers. 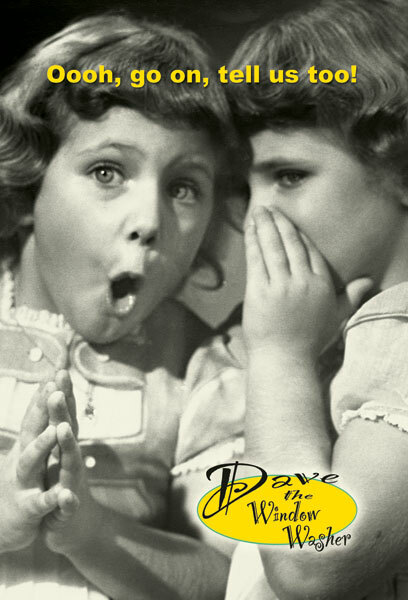 Dave knows that you go out on a limb to recommend him to a friend. As far as he’s concerned, there exists no bigger ‘thank you’ than this. Not to worry. He won’t let you down!